All prints in limited editions. B&W are gelatin silver and color are archival pigment prints. Contact John regarding print sales. John Langmore is an Austin, Texas, based photographer pursuing long-term personal projects. 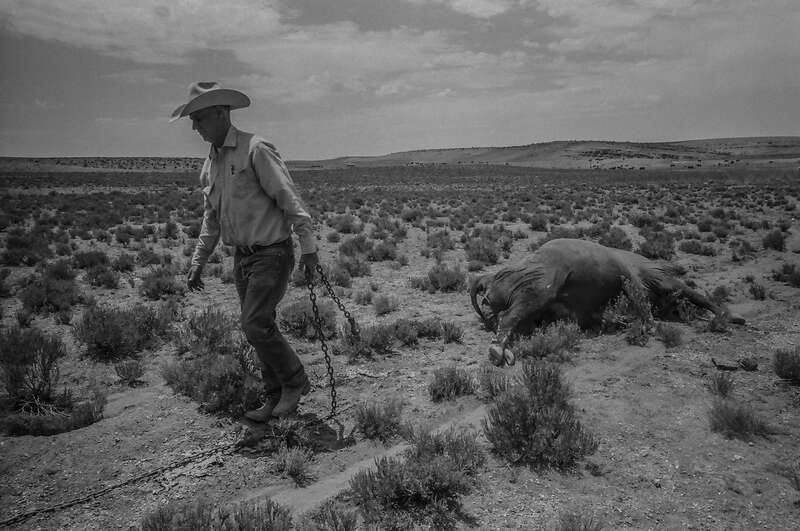 His recently published book, Open Range: America's Big-Outfit Cowboy (Twin Palms Publishers 2018), is the result of over six years of work photographing on fourteen of the country's largest ranches, all running full crews of horseback cowboys. This work has been widely published and exhibited in galleries and museums. John is also completing a feature-length documentary film on working cowboys set to be released in 2019. John's project, Fault Lines - a portrait of East Austin, is set to be published by Trinity University Press in 2019. John lives in Austin with his wife, Erika, and his two sons, Jordan and Grant.